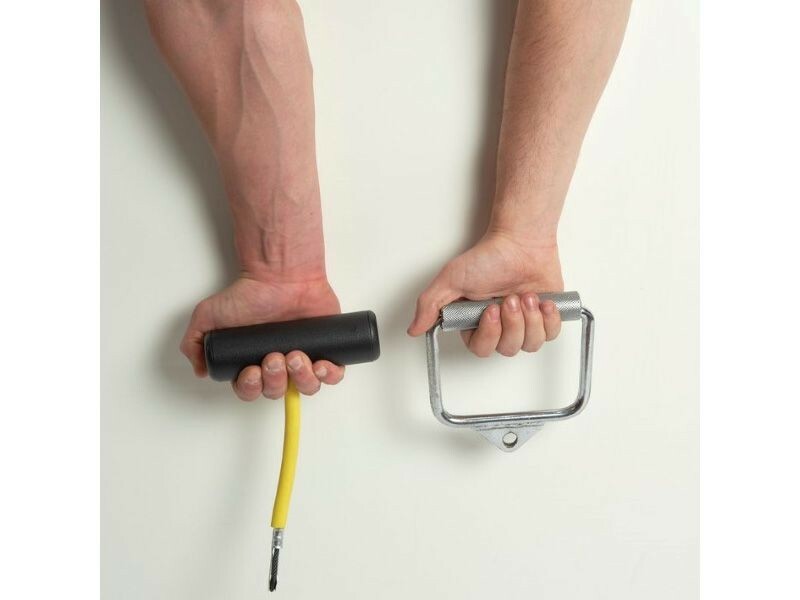 Standard Handle 1-1/4" Fat Handle 1-3/4"
Take advantage of more gripping power and freedom of wrist movement to bang out more reps! 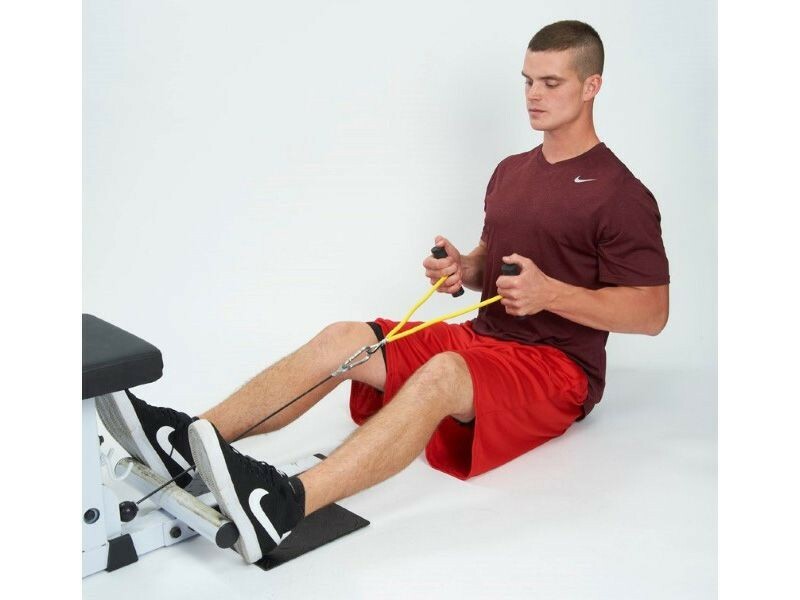 This unique tool replaces any traditional straight or v-grip row handle on any cable machine for doing seated rows, standing rows and pull downs. 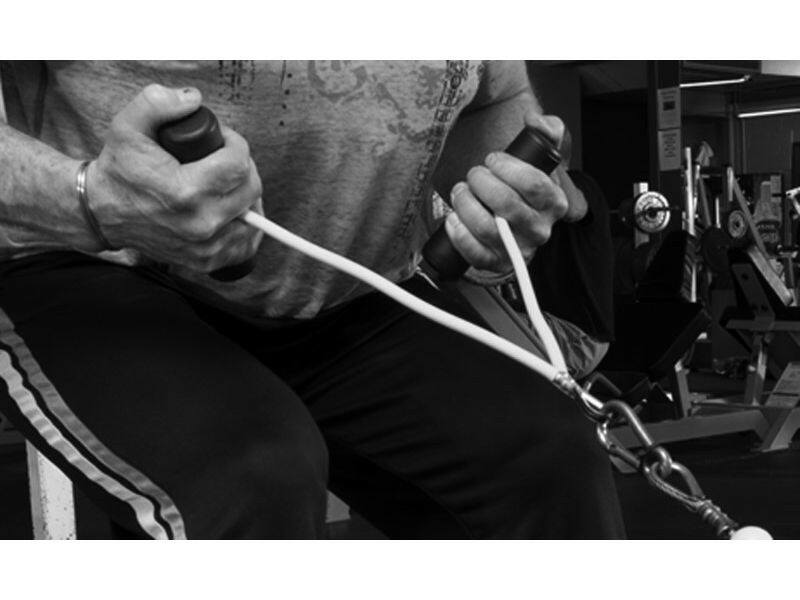 You grip the handles with a split-finger grip that allows a new freedom of movement during the pull, in contrast to traditional attachments that will not move laterally like this. 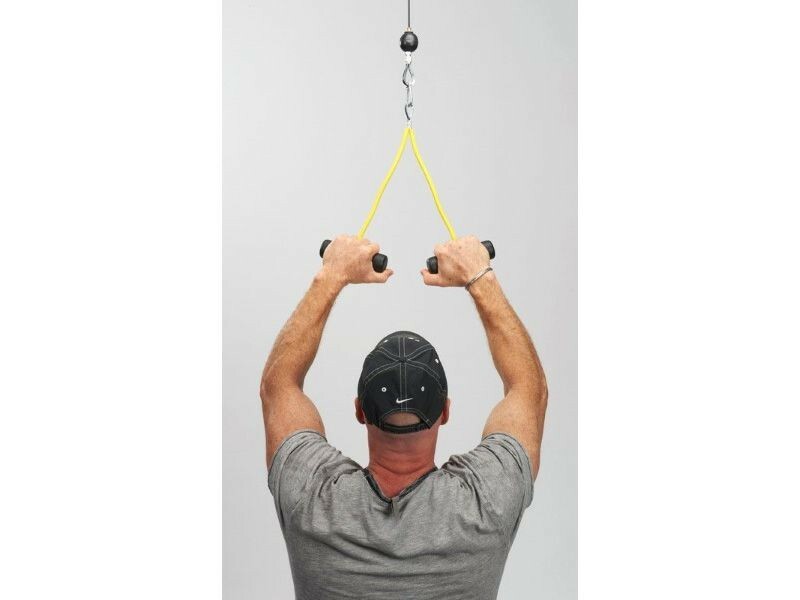 For example, during rows, the optimal angle of your forearm/wrist changes slightly as you pull your hands closer to your body, and because the handle moves freely, you can get a more powerful row with a fuller range of motion, targeting muscles better. You have to use this handle to really understand what you're missing. 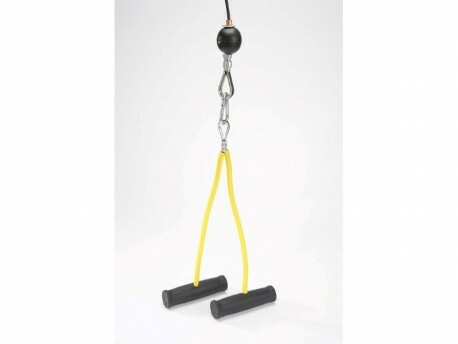 Like all of LPG's products, these are made to last for years through serious workouts by heavy lifters. 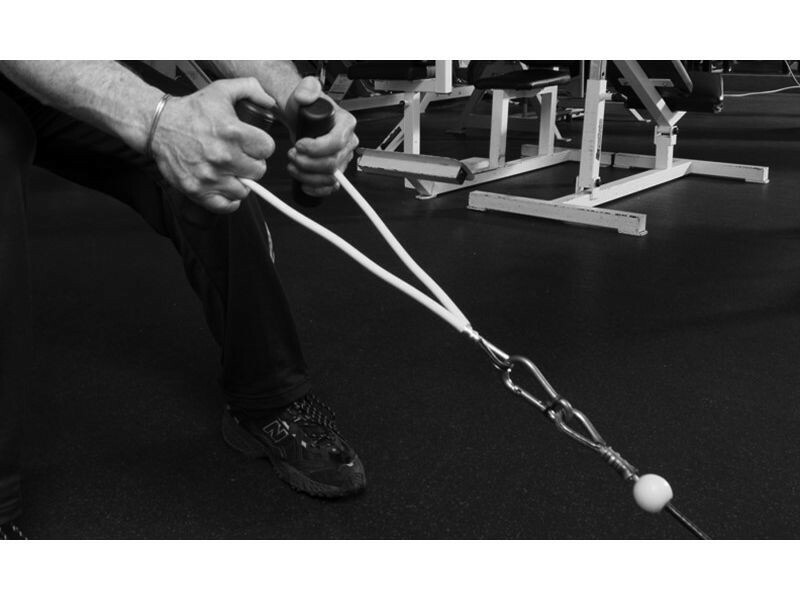 The heavy duty textured handle is easy to grip and will not break or come loose. The photo makes it look sort of like one of those rubber resistance tubes. It's not. Don't let the yellow sheath fool you. 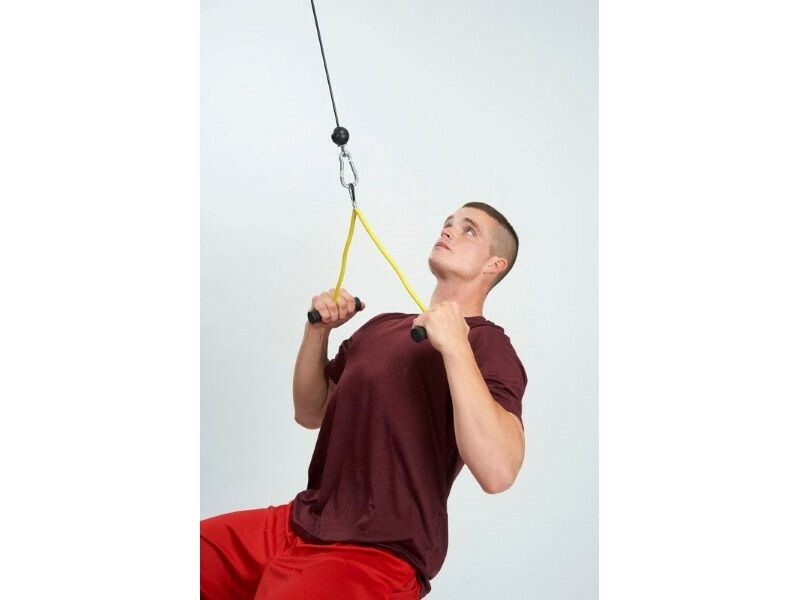 That's a 1500lb rated steel cable, sheathed for your protection. Choose from the 1-1/4" diameter standard grip (which is still larger than the typical 1" grip on steel cable handles) or the 1-3/4" fat grip. We recommend the standard if you're unsure.